Perfect Chinos Just $21.99! Down From $43! FREE Shipping! You are here: Home / Great Deals / Perfect Chinos Just $21.99! Down From $43! FREE Shipping! Deal expires on December 6! 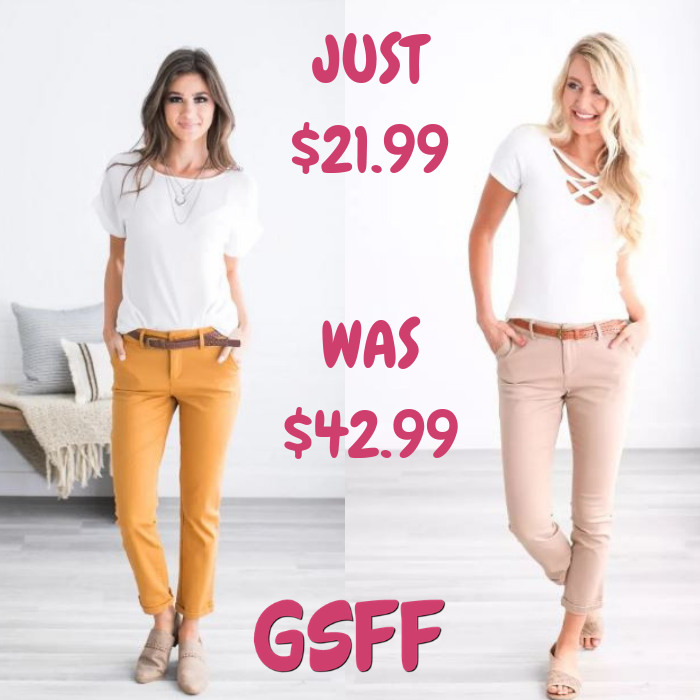 Hurry over to Jane where you can score these Perfect Chinos for just $21.99 down from $42.99 PLUS FREE shipping! Who doesn’t love a good pair of Chinos? These spring Chinos are this season’s must-have pair of pants! Available in 7 trendy colors, these pants feature fully functional pockets, a thin leather belt, and a stunning traditional chino fit. You will absolutely love these pants!